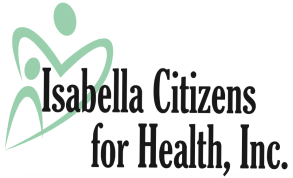 New Patient Information - Isabella Citizens for Health, Inc. Please plan to arrive 30 minutes before your scheduled appointment time. This will allow time for our reception staff to verify insurance, collect any co-pays, and update your chart. You must bring your insurance card and copay. Bring the medications you are taking or a list. Many patients find it easiest to simply bring all prescriptions and over the counter medications in a bag. Self-pay patients receive a 30% discount on payments made at the time of service. Patients on the Sliding Fee Scale are not eligible for the Prompt Pay Discount.